Kato Kagekado was a retainer of the famed warlord Minamoto Yoritomo, who later founded Japan’s first military government, the Kamakura 'bakufu' of the 12th century. 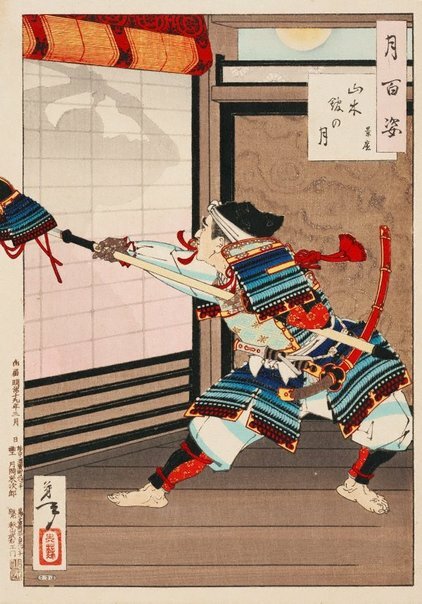 It was on a full moon that Yoritomo sent men to attack the Yamaki mansion, home of the Taira clan. The Minamoto clan were enemies of the Taira, whose leader was Kanetaka. Here, Kagekado is forging his way into the mansion. With his helmet at the end of a spear, he lunges at a shadow made by the light of the moon. 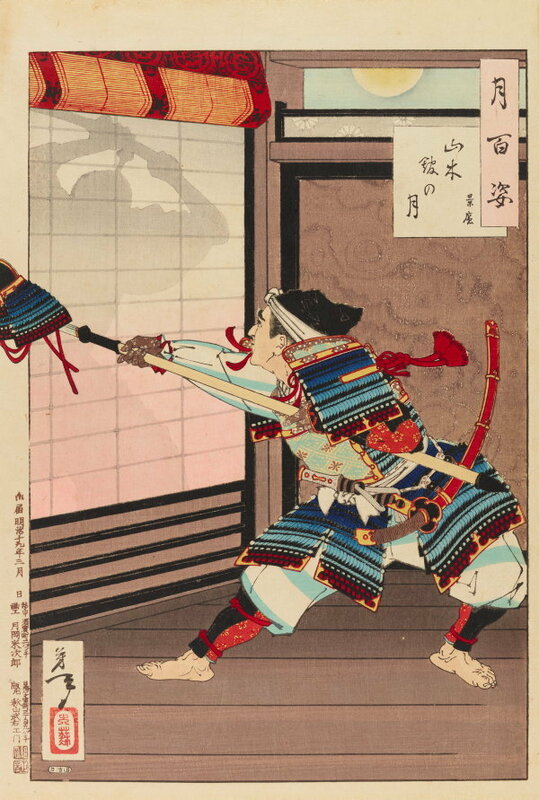 The shadowed figure is Kanetaka who loses his balance and eventually has his head cut off as victory to Yoritomo.